As a fan of Chinese cinema, I can't help but start beaming whenever the industry gains recognition especially in the international stage because it has really come such a long way over the years. 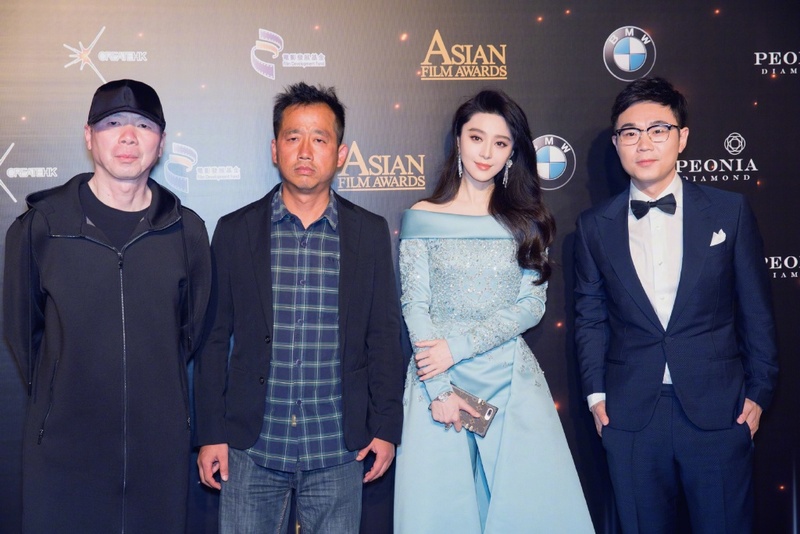 The 11th Asian Film Festival was held last March 21 in Hong Kong and the Chinese film I Am Not Madame Bovary did spectacularly, winning Best Film, Best Actress and Best Cinematography. The deserving actress is none other than Fan Bing Bing (Win the World), one of China's top stars. She plays a woman from the village who was the victim of a fake divorce that turned real and she embarks on a journey to prove that she is not Madam Bovary. The plot screams drama to me but it is apparently also a comedy. It's interesting how things have a way of working out because it can be said that the 2003 movie Cellphone directed by Feng Xiao Gang (Mr. Six) kickstarted her movie career, so it's somewhat poetic to see then reunited for another great film. 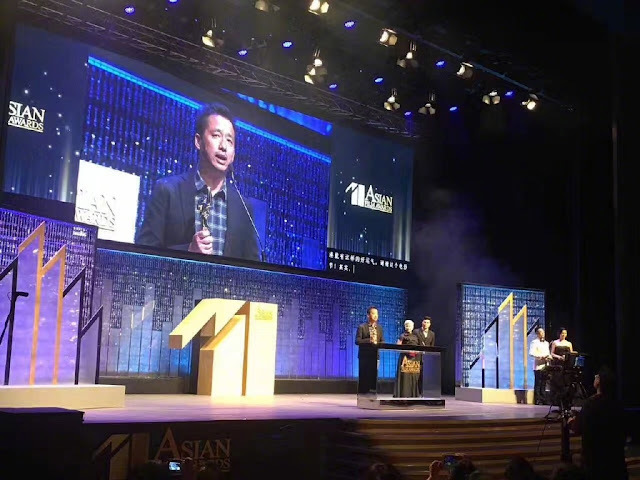 Feng Xiao Gang may not have won Best Director but he brought home the top prize for the night with Best Film. The actress' studio shared a number of photos from the event, showing Fan Bing Bing in a beautiful Elie Saab gown alongside other winners like Japanese actor Asano Tadanobu who won Best Actor for Harmonium. It's funny that literally none of the men behind I Am Not Madam Bovary seem to be smiling but surely, they're happy inside.